Bankart Repair Procedure: Here's How It's Done - Jeffrey H. Berg, M.D. A Bankart repair procedure is sometimes necessary to treat shoulder instability. Typically, it is indicated when a Bankart lesion exists and the injury is in a young person involved in “at risk” activities (ie. contact sports, gymnastics, etc. ), there is recurrent shoulder instability or there is a sizable glenoid (socket) fracture associated with the labral tear (the so-called bony Bankart lesion). As you may recall, the shoulder is a ball and socket joint. It is held together by strong bands of tissue called ligaments. These connect the humerus to the glenoid. 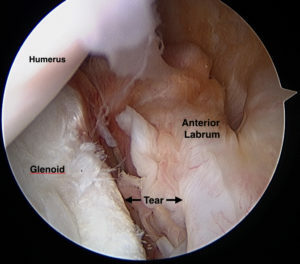 They attach to the glenoid by inserting on the labrum. The labrum is a ring that is strongly attached to the edge of the glenoid, circumferentially on its surface. Since the ligaments attach to the glenoid via the labrum, when the labrum is torn from the glenoid, the ligaments do not work and the shoulder will often be unstable. As I discussed in an earlier post, a Bankart lesion is a labral tear located at the bottom, front of the glenoid. It often occurs following the most common type of shoulder instability – Anterior instability. That is, when the humerus (ball) comes out the front of the shoulder joint. The Bankart repair procedure can be performed either through an open incision or much more commonly, arthroscopically. The essential components of the procedure are the same no matter which technique is used. Simply put, the torn labrum is freed up from where it has scarred to and then repaired to its native attachment point on the glenoid. When either there is no glenoid fracture or only a small one associated with the labral tear, the surgery is nearly always performed arthroscopically. This allows for better visualization of the injury and less disruption of uninvolved tissues. In order to attach the labrum to the glenoid, suture anchors are used. These are tiny devices that are inserted into the glenoid at the intended attachment site. These anchors have small strings (sutures) incorporated in them. The small strings allow the labrum to be fixed to the chosen location. If a small bone fragment is present, this can be included into the repair. View this video to watch an arthroscopic Bankart repair procedure. When a larger fracture to the bottom, front of the glenoid is associated with the labral tear, a bony Bankart lesion exists. Many of these injuries can still be treated arthroscopically, often using suture anchors in the same or occasionally a slightly different manner than described above. Sometimes however, the bone fragment can be considerably larger. This may require a screw or two to fix the fracture. At times this can be performed arthroscopically but sometimes an open incision is needed. On occasion, not only is there an injury to the front of the joint (Bankart tear +/- anterior glenoid fracture) but there may also be an injury to the back of the joint. When the humeral head dislocates off the glenoid anteriorly, the back of the humeral head sometimes gets indented by the front of the glenoid. This indentation is called a Hill Sachs lesion. A Hill Sachs lesion can increase the risk of recurrent instability. Often these Hill Sachs lesions are small and no treatment is required. Sometimes these are large and therefore must be treated. If so, an additional arthroscopic procedure called a Remplissage is often what is needed along with the Bankart repair procedure. Usually, both of these will be performed during the same surgery. In a Remplissage procedure, suture anchors are placed into the Hill Sachs lesion and the stitches from these are used to tie one of the rotator cuff tendons in the back of your joint into the indented area. By doing this, the tendon essentially holds onto the humeral head, stopping it from slipping too far forward and thus preventing any further anterior instability. The sutures and other fixation devices that are used simply hold the repaired tissues where we put them. These repaired structures still must heal in place. If not, the fixation will ultimately fail and the tissues will go back to where they were before the surgery. Preventing excessive shoulder motion and abrupt injuries can reduce the risk of this failure. Consequently, a sling is usually required for 4-6 weeks after surgery. Most people need a fair amount of physical therapy. Many of my patients are in physical therapy for 5-6 months after their surgery. The therapy initially helps reduce pain and swelling. Later it aids in regaining range of motion, strength and proper function. Before contact or risky activities are permitted, satisfactory strength and range of motion is needed. Usually this takes at least 6 months. Full recovery, however, can take 9 months to a year to be achieved . 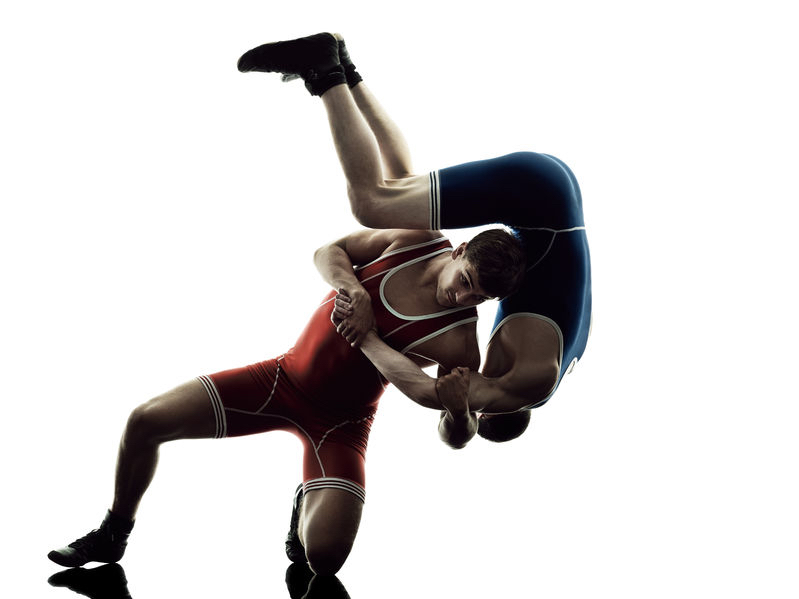 If you have shoulder instability, it is wise to see an orthopaedic sports medicine surgeon. It is possible that you may not need surgery…But unfortunately you may. Thankfully, if the procedure is performed well and you follow your postoperative instructions, including your physical therapy, a stable shoulder and good outcome is likely.